Check out Tobi's Glam Squad Rhinestone Studded Hoops Your daily jewelry rotation deserves a little sparkle. Add the bling with the Silver Glam Squad Rhinestone Studded Hoops. 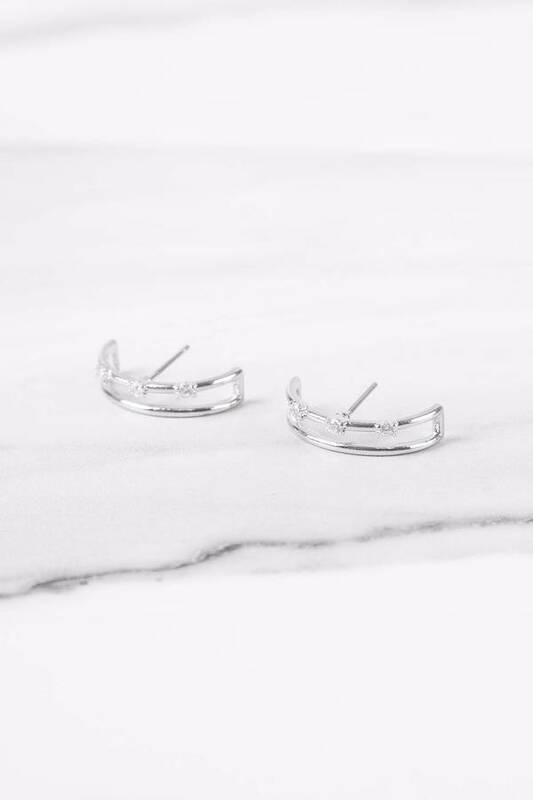 With a double band in a half hoop shape, the earrings are finished with subtle rhinestone detailing for a hint of glam with work and casual looks. Your daily jewelry rotation deserves a little sparkle. Add the bling with the Silver Glam Squad Rhinestone Studded Hoops. 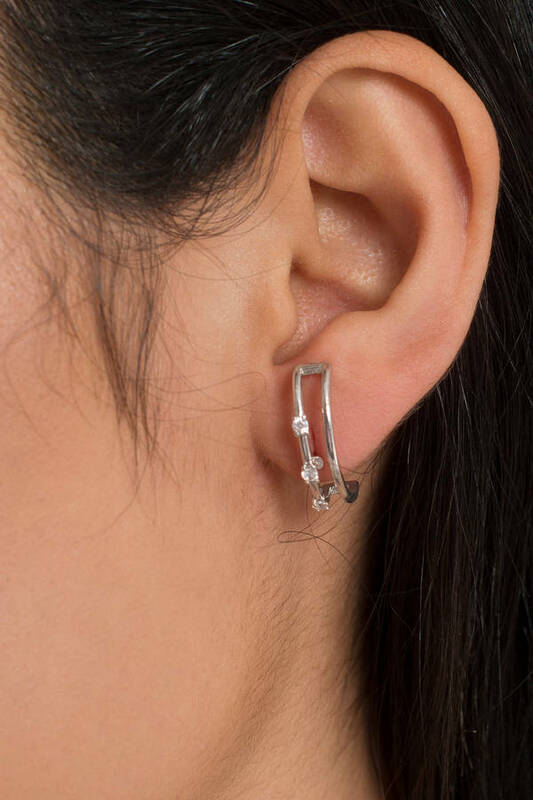 With a double band in a half hoop shape, the earrings are finished with subtle rhinestone detailing for a hint of glam with work and casual looks.